PV Sindhu to clash with Saina Nehwal in Women's Singles Final today. 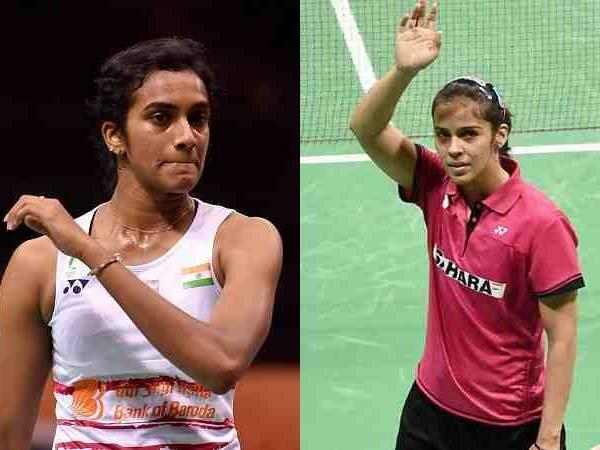 Star shuttlers PV Sindhu and Saina Nehwal will face each other in the Women's Singles summit clash which is expected to be a thrilling encounter. Both players had also met in the last edition's Final at Nagpur in 2017, with Saina beating Sindhu in that game. Saina had also outsmarted Sindhu in the Gold Coast Commonwealth Games gold-medal match last year. In the Men's Singles title clash, two-time winner Sourabh Verma will take on Asian Junior champion Lakshya Sen. In Men's Doubles Final, Pranaav Jerry Chopra and Chirag Shetty will take on Arjun MR and Shlok Ramchandran, while for the Women's Doubles trophy, the pair of Meghana Jakkampudi and Poorvisha S Ram will play against the team of Shikha Gautam and Ashwini Bhat K.
In Mixed Doubles, Rohan Kapoor and Kuhoo Garg will meet the pair of Manu Attri and Maneesha K for the title.